Grow with our expanding organization. KINETICGROUP is continuously looking for professionals who are up for challenges. If you are a team player, have a good attitude, strong work ethic, and the desire and drive to succeed, come join our family. Applicants may also drop their resumes directly to our Human Resources Department. 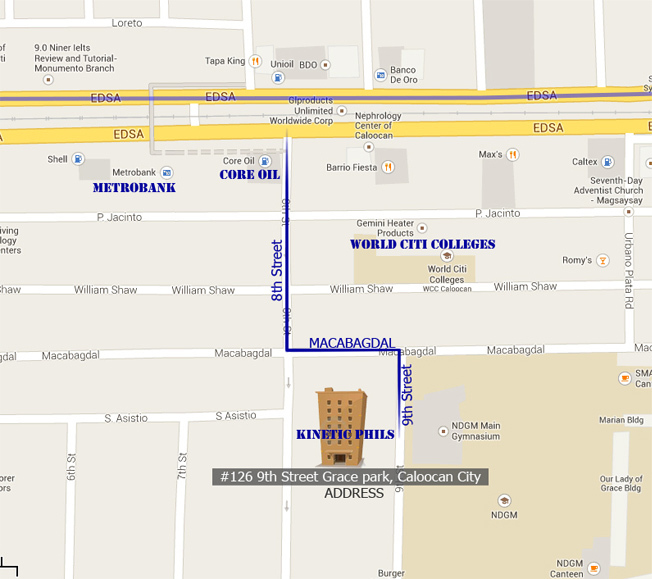 We are located at 126 9th Street Grace Park (East), Caloocan City, Philippines. Click Here to see the map.